I found this marker in the southeast corner of the burial grounds. This is the spot George and Sarah would have known and where they would have worshipped in a log cabin, and also where they were married in 1710. 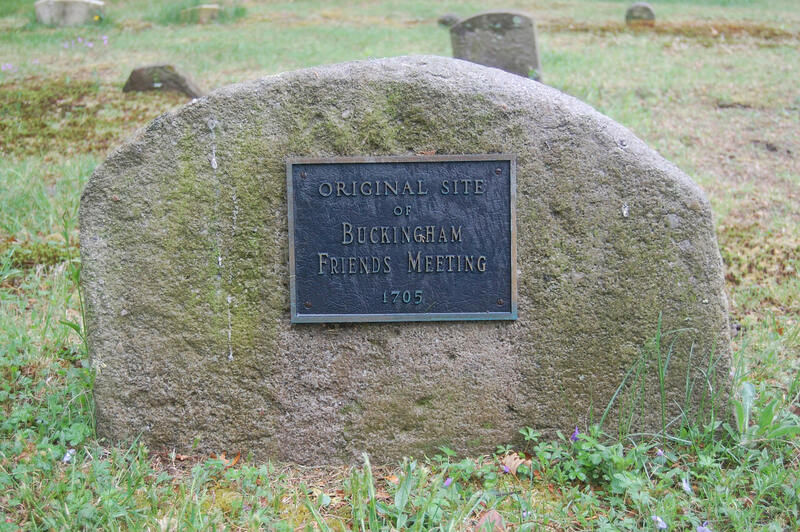 According to the National Park Service, James Streator donated ten acres of land in Buckingham in 1705, and "in a clear grassy spot, on the west side of a path that went winding up the hill," the members built a log meeting house. The path is still there in a wooded area, separated from this area now by the stone wall. This spot is about a quarter of a mile downhill from the present meeting house.